Where do u Catch Eevee???!!!? Can U Get Eevee In The Wild? If So Where??? I have been trying to get a Jirachi for some time and I was wondering..
Previosly I've Posted a Question abt wether my Pokemon are ready to ba..
Where can I buy pp restore? I have to find pp restore things but I can't find it everywher I hope ..
Can you breed dialga or palkia? If you can, how do you? Cause my frien..
You can find Eevee in the grassy area behind the Trophy Garden below Hearthome City. When you go inside the Trophy Garden building, go inside the door in the right, where you see a woman standing to the right of the door. Talk to the owner of the Trophy Garden. This is where one of those daily events take place. The Trophy Garden owner will tell you that he saw a certain Pokemon back in the grassy area. Eevee is one of those Pokemon that he can say. If and when he says he found an Eevee back there, now's your chance to go catch one. There is one other way to get Eevee. In Hearthome City, go inside the building that's right next to the Pokemon Center. There you will meet a girl named Bebe. After you beat the Elite Four, and get the National Pokedex, she will give you an Eevee. To recieve it, you must have one empty space in your party. There is only one other way than what the above two said, Catch one in any previous game and migrate it up. Hey, it's Still in the Wild. First beat the elite 4,then get the national pokedex,after that fly to hearthome city and talk to bebe. Go to the Pokemansion And you find a eevee in A patch under the tree. 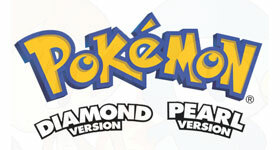 Search for more answers for Pokemon Diamond or ask your own question here. Where can I buy pp restore? I have to find pp restore..
Master Ball cheat I have been trying to get a Jirachi..
Old Chateau/ Haunted house in Pokemon Diamond I've se..
Nintendo Event What is a nintendo event and where is ..
How do you evolve pichu in to pikachu? Who is Better? Lugia Or Ho-Oh?